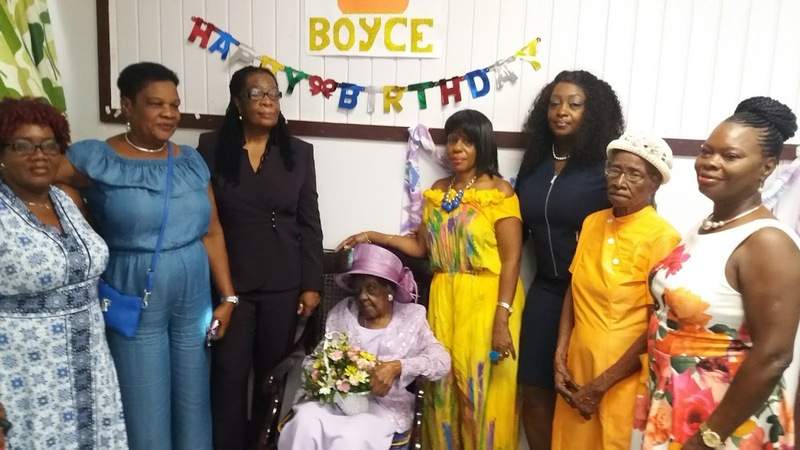 Governor-General Dame Sandra Mason, joined with family to wish Olga Augusta Boyce a happy 100th birthday, at the Geriatric Hospital last night. Today is doubly special for Olga Augusta Boyce. Not only is she joining with women all across the world in celebrating International Women's Day, but she has reached a milestone most people can only dream about. 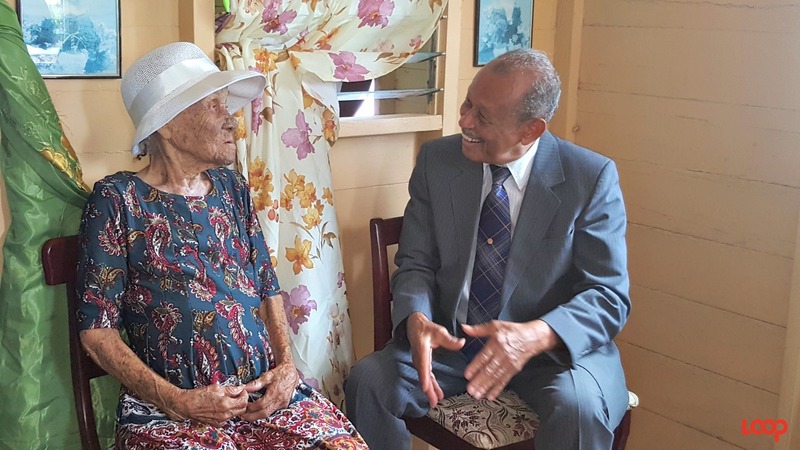 Barbados' newest centenarian joined the elite club with a bang, as Governor-General Dame Sandra Mason visited her at the Geriatric Hospital this morning. It was a time of joy, as Olga kept everyone laughing and led them as she burst into song. The mother of two was joined by family and friends who all praised her for being a "wonderful person". While both of Olga's children have passed, her nieces were her caregivers up to September of last year, before she moved to the Geriatric Hospital. 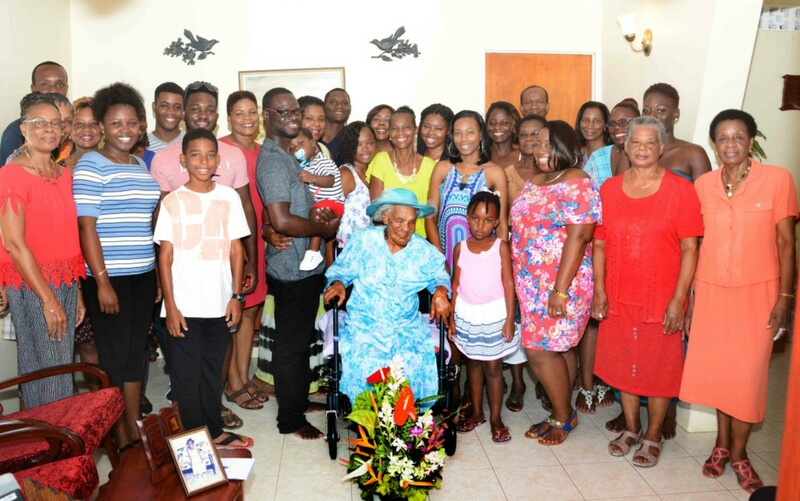 They spoke to the media about the woman who has been a rock in their lives. "When I went to the United States she was there for my children". Goldinne Herbert had similar sentiments for her aunt who "loves her ground provisions". But that's not all, you'll also find her enjoying other Bajan delicacies such as chicken and pork. 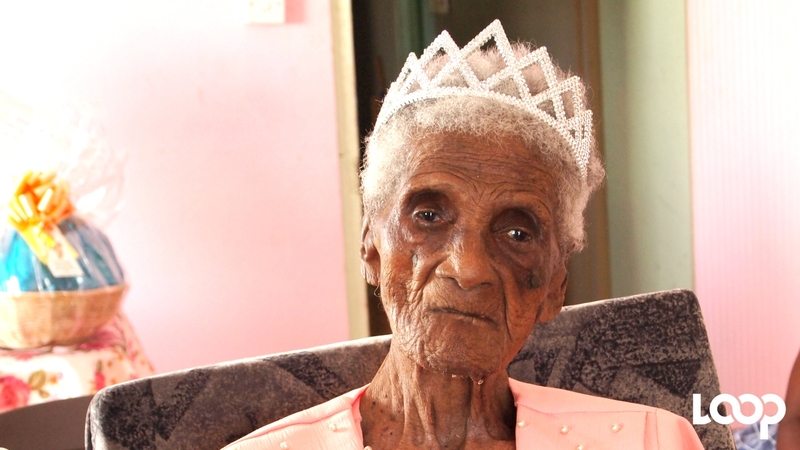 So what's her secret to long life? I'm sure you've never heard this one before. Watch the video and find out.